Feedlots and dairies require a lot of water. This simple fact results in millions of gallons of water overflowing into lagoons each year. In the past, this water was under-utilized. Now there is a better way. 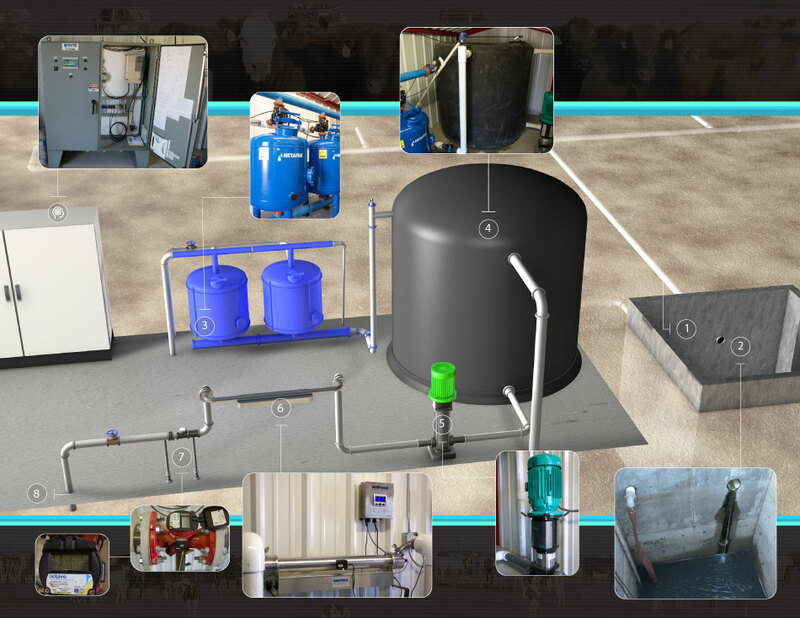 Watermaster has partnered with resourceful companies to develop an innovative recycling system and supply it back to the livestock. With the recent drought and water restrictions, Feedlot Tank Overflow Recycling is the most of a vital resource is an essential addition to support the cattle industry. Each system recycles on average 15-20 million gallons of water per year (depending on the amount of overflow capture) but is capable of handling 100 million gallons per year. A single feedlot may utilize multiple systems depending on size and requirements. This small change can have a large impact on making the most of our limited resources. If just a small percentage of the one hundred thousand dairy farms and feedlots in the U.S. alone utilized Feedlot Tank Overflow Recycling systems, the cattle industry could be recycling several hundred billion gallons of water each year. Discuss your solution today with Jeromy Gowdy at Watermaster and start the steps towards sustainability with your water supply. Above ground storage tank can be chlorinated if needed. The meter measures water before integrating back into the supply system. We are more than just irrigation.